Discussion in 'ASUS AC Routers & Adapters' started by Gitsum, Oct 18, 2015. Releases next week on the 10th. Man I'm going to be busy on veterans day with fallout 4 and this. And Windows 10 Threshold 2 also lands on that day. Just ordered mine from Amazon, upgrading from an N66 (going to use the N66 as an AP) looking forward to the new features. Looks like newegg updated again, now in stock for purchase. For me, I just like playing with new tech. Also I guess its probably because I've had the N66, AC66, AC56, AC68 and AC87 with no real issues and all of them I got at launch as well. 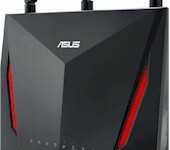 I am buying it because I trust Asus for the most part. 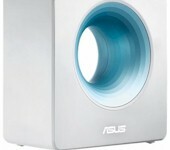 I have tons of Asus products, sans a few things. I wanted all the features this has to offer and I know it will be in my network at least for the next three years. $100 per year.. vs buying the AC68 at $179, or $60 per year... which is a 2013 router, coming into 2016. So, for $40 more per year, or $3.33 per month, (or cheaper if it lasts 4 years) I get everything I wanted, I know it will work and I learn in the process as it grows to maturity, just like the N66 I bought at launch time, plus I wanted to future proof for the next three to four years. Hey, it's not like it's a $400 router.. Right? Are you implying that we shouldn't.. Hint hint... Joking btw. I do like the look of this router but then I already have a 87u so not sure there is much point in moving up by such a small amount. 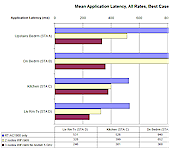 IAAI, Agfadoc and L&LD like this. Merlin, Have you played with the link Ag on this yet? Is this basically the same as your LinkAgg scripting? 802.3ad as a menu option to bond two ports in the web interface vs your scripting? One of the things that intrigued me most about the 88U is having the 8 ports and the link Ag capability built in through ports 1 and 2 (I assume). There is little about the details in the available 88U owners manual, specs on the web page, etc, other than claiming link Ag is built in, I am just assuming that has similar options as your scripting built in, just configurable on the web interface.. If you can comment on this, I'd appreciate it. I was looking at the Netgear X8, which has the two dedicated Link ag ports, or the AC5300 which offers link AG but only has 4 ports, but in my consumer based opinion, the 8 ports on the 88U is a much better option over a standard 4 port solution like in the 5300. This should still free up 6 ports vs the 4 available remaining on the X8, or 2 remaining on a 4 port router. It's kind of a big deal for my needs. The important thing about this for me is I have the router and my NAS in my office as I move large files back and forth from my computer to the NAS, a 16 port switch and the modem in my network closet to feed the rest of the house, which takes one port of the router to feed back to the switch. So in my case, all the ports on a 4 port router are taken up unless I want to add another managed switch, or go wireless with my desktop, which is not going to happen for what I do. I am really looking forward to getting the 88U, it is making me rethink the why and how of doing what I am doing and how I can make it better. I don't need a gaming router, but I do have lots of file moving and streaming going on in the rest of the house. Just thought I would add more to the why buy this one before it's reviewed and launched. Link aggregation does nothing for a single client. It only helps increase bandwidth for multiple devices. I understand Tim thanks, my NAS is my iSCSI drive for my HyperV server (s), my Surveillance Station for 7 IP cameras, my backup location for 6 other computers, and my video storage location for my plex system, along with my cloud, and my web page. It's getting hit pretty hard at certain times so I am hoping that Link Ag will benefit during those times that everyone is making requests, doesn't happen all the time, but it's noticeable when everyone is home and I am working. its a good sign since it was "Auto Notify" previously. I would just like something from Asus at this point as far as a set date. Just saw this at Best Buy - Upstate NY! Hmm, I am going to have to go check my local best buy, I am still under the return policy on my AC87R since I am an elite member. 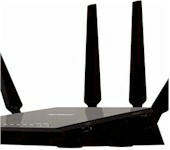 If they have this model I am going to exchange my router. 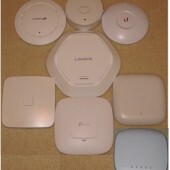 I don't need the 8 lan ports of the AC88U and as far as I can tell that is the only difference between the two routers. Also, was just curious as far as Merlin's firmware goes, is the RT-AC88U and the AC3100 the same? I was just wondering if I would be able to use the 88U firmware on the AC3100? I didn't write that script BTW, someone else did. I can't say much about Asus' implementation, because it's... closed source. Sigh. So, I have no idea how it's implemented. I didn't experiment with it because I don't have many Ethernet clients to test it (just one desktop and one laptop),, and my NAS's RAID1 wouldn't really be able to keep up with anything over 1 Gbps anyway. I will compile separate builds for the AC88 and AC3100. I didn't initially announce AC3100 support because at the time I had no way of knowing if anything special would be required to support it, and I only had the AC88 to test. A tester was able to confirm that it worked correctly even tho I was reusing the AC88U wireless driver. I jumped last year on the 87u, and it has been a love-hate affair. I was hoping to get something with all the latest and greatest new features that would last for awhile, but still can't get wireless printing worked out, even with the 9313 firmware yesterday and scheduled reboots. I'm probably going to jump shop to an Airport Extreme at the end of the month, knowing that it's an older device, but it seems to work well, and that's what I really want. I don't want to have to think about builds and updates. I get excited whenever there is 87u news, but then, just more struggles. The idea of the 5300 is great too, but maybe after 6-9 months on the market, maybe. I really, really want to stop having to think about my router for awhile. Being on the bleeding edge has taken it's toll, even after trying to keep my spirits up. wfhmaster and Blind_Bandit like this. Thanks Merlin I stand corrected. Looks like KAD created it, sorry for the confusion. joegreat, L&LD, IAAI and 10 others like this.